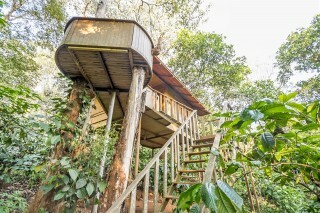 Located on Chembra Peak, this offering of a tree house can accommodate up to two people. This elegant abode is perfect for a peaceful stay. Breakfast is complimentary here. Parking is available, as are the services of a caretaker. 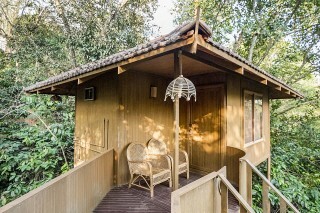 Your Space Situated on 20 feet high wooden pillar, this tree house will enliven the child in you. Nestled in rich forests, the tree house is constructed out of natural wood which adds to the rustic charms. The neutral theme continues inside and the room is beautifully illuminated by natural sunlight. It is furnished with a comfortable double bed, bedside tables, a generous wardrobe, a vanity unit for dressing convenience, a flat-screen television for entertainment while indoors, and a couple of chairs with a coffee table for added comfort. 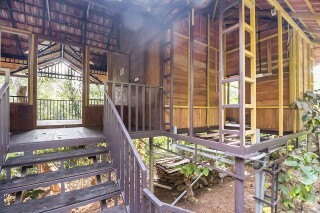 The balcony is appointed with a couple of cane armchairs, where you can sit back and enjoy the view with a cup of tea. The bathroom is fitted with a glass shower enclosure and western sanitary ware. 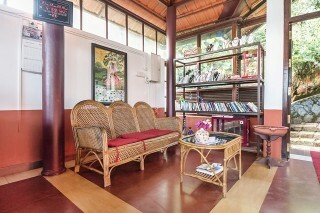 The common living area is appointed with a rattan sofa set, a coffee table, and a well-stocked bookshelf. Places to visit: Chembra Peak - 20.6 km. Edakkal Cave - 31.4 km. Kuruva Island - 40.5 Banasura Sagar Dam - 24.8 km. Thirunelli Temple - 59.8 km. Pookot Lake - 13.6 km. Meenmutty Falls - 27.1 km. 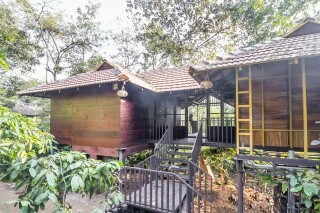 This is a tree house done in the traditional Kerala style located twenty feet above the ground, amidst a coffee plantation that is a treat to look at. The property is equipped with all the modern facilities which include comfortable beds, fine flooring and a Jacuzzi in the bathroom. 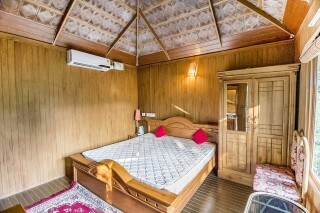 During your stay in this property, you can enhance your experience by indulging in a range of activities that include wildlife safaris, plantations visits, Ayurveda therapy sessions and trekking by the side of mountain streams etc. 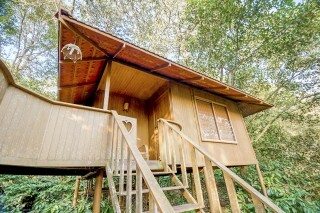 The property is best suited for lovers of nature and explorers who like hiking to new places. Kozhikode Railway Station - 74.5 km. Calicut International Airport - 86 km. Kalpetta New Bus stand - 3.6 km.